I was settling down to write this intro and I thought I'd just check what I wrote in September. Quite a lot, it seems, but I didn't make it live. Silly me. I also have no way of knowing whether I mailed it out or not. Obviously I'm losing my marbles because in October I celebrated my birthday – the big six-oh. Who'd a thunk it! The month wasn't all great – I had some very sad family news, but we soldier on. I have some great stuff planned for November, some of it based on a parcel of food-like goodies that I received from a follower in America. Now, if YouTube will just start behaving itself, we might make some progress. 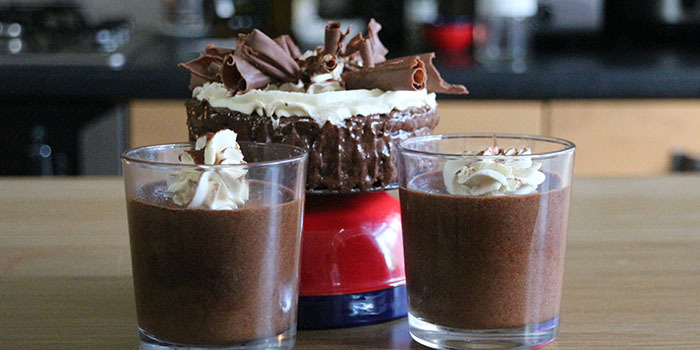 There are many ways to make a mousse - at its simplest, it can be nothing more than chocolate and egg, but chefs being chefs, more elaborate concoctions are commonplace, and frequently involve sugar, butter and cream. 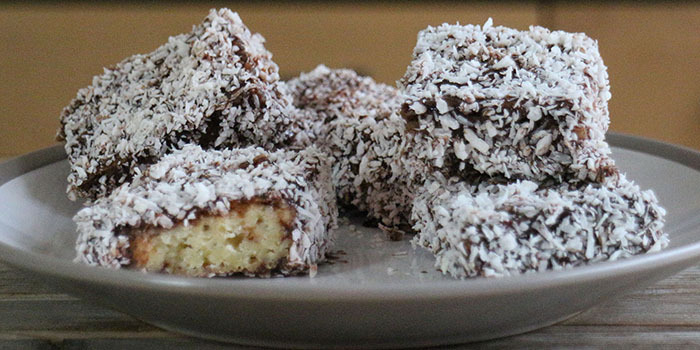 In this recipe I'm making mousse and mousse cake. 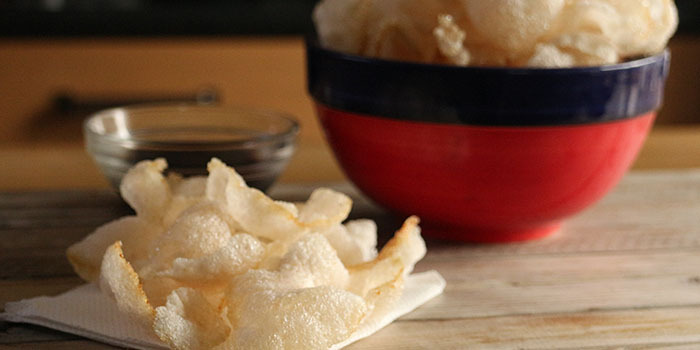 Most Chinese takeaways will give you a bag of prawn crackers with your order. I don't know why, but they never, ever taste of prawns and they have the nutritional value of aerated fluff. But it's not so hard to make your own and you'll find yourself actually loving them. In Thailand, these are known as krupuk - spellings vary! Americans love this flan, with its wobbly interior and crunchy buttery pastry. 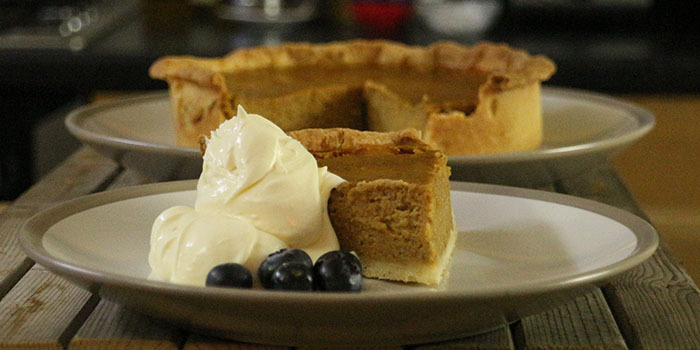 Pumpkin, like most squashes, tends to be somewhat bland in flavour, but the addition of spices makes pumpkin pie very tasty and autumnal. 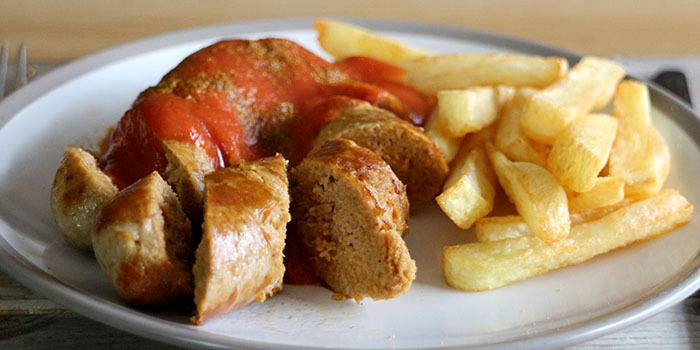 When I made my Currywurst recipe, I had to use bockwurst because that was all I could get. But I should have used bratwurst, as about half a million of my fans gleefully told me. So I decided to make my own, from scratch, but with the twist of adding curry flavouring directly in with the meat. 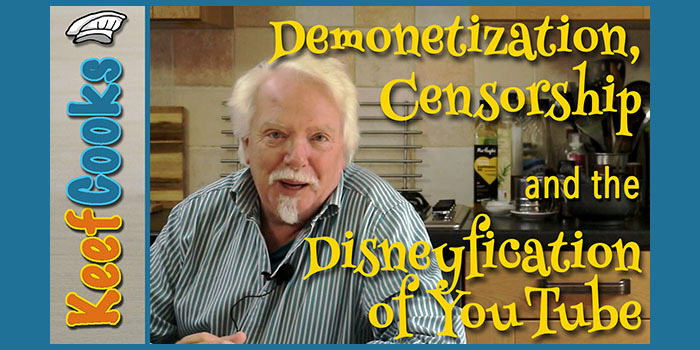 YouTube went a little bit crazy in October and started demonetizing my new videos. I made this video to try to explain what was going on, but basically, nobody knows for sure. But it really makes me wish there was a credible, trustworthy alternative to the monster. This has to be the best video yet! The chicken ha ha ha ha funny as heck! Wait...you do this for money...lol. I thought you just enjoyed cooking. I think its obvious he does love cooking and sharing with others so why not make money off doing something you love? some would consider that living the Dream actually. Me: Mrs Keef Cooks objects. Me: Thanks for your comment. It actually made me laugh out loud! Let's Plays replied: Dude, people provide quality content and they should be reimbursed for that time. Don't be a fool. Not providing monetary compensation for high quality video will result in a drop in the number of high quality videos available and the lack of knowledge being shared. Face it, 'youtube creator' is a real job now. They should be compensated just like any other employee. Without content creators, youtube is just an empty website. Paul replied: Why is YouTube any less a "real" job than television/cinema? Interested and appreciated, but it took half an hour to even see an egg. Next time, consider a shorter video. Me: LOL. You seem a bit confused - this video is just over 10 minutes long.